i just beat it!! ty for making it & letting us play! I like the pokemon variety a lot, like there are a lot of pokemon around but they all feel really appropriate for their setting & i got to use a team w/ a lot of pokemon i'd never used before!! Michael and I are trying to troubleshoot the issue, but we can't seem to figure out what the cause is, especially since it works just fine for the both of us inside and outside of debug. He said that he'll upload a new copy of the game soon, or at least a mirror, to see if that does the trick. And thanks! I'm glad you enjoyed the game! Hi. This is a really stupid question. How do I play the game? I downloaded the correct link and then unzipped the file, which gave me a folder. Now, what do I do? I have a Mac Book Pro 2017. Is this a game I play with Desmume? If so, how do I play it? If not, how do I play it? This is a stupid question, I know, but I cannot figure it out. This game is not a Romhack. Desmume won't help. It's made in RPG maker. On Windows, you just have to click Game.exe and it runs without any kerfuffle. On a Mac, you might need to mess around with Wine or WineStaging. I can't really help with that but maybe someone will come along who can, if you get stuck. Thanks! Ill try to figure something out then. Still could not figure it out. If anyone knows how to do it, please let me know. Thanks! Can I play this game on my phone? Nope, PC only - or probably Wine, if you're brave enough. Watching some youtube videos on the game and would love to start playing, but i don’t know what to download it on. what emulator do i need to run this game?? i’m having the same issue. the download link won’t work for me for some reason. 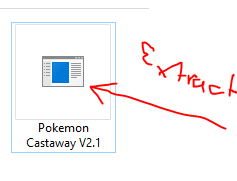 That's strange, because I just debugged in a Fletchinder with a new copy of the game and it works just fine evolving. I asked Michael and he hasn't made a new upload of the game, either. Which I know for a fact is true because he's been driving since yesterday on vacation. Checked the download link and it is up and running perfectly fine. What are you trying to download it on? This game is PC only fangame (Windows only, unless you're going to try to use Wine on a Mac), which could be your problem if you're treating it like a romhack that needs an emulator. If it isn't the platform you're using, then it could potentially be your firewall, internet, etc. Thanks for poking around! I checked the game again and it is the nickname which is causing the issue for some reason. Michael's the coder, so I'm going to ask him to look at that and put out a fix when he gets the chance. As I and many others have already stated on this thread, this isn't a romhack, it's a fangame. That means you do not use an emulator to play the game. 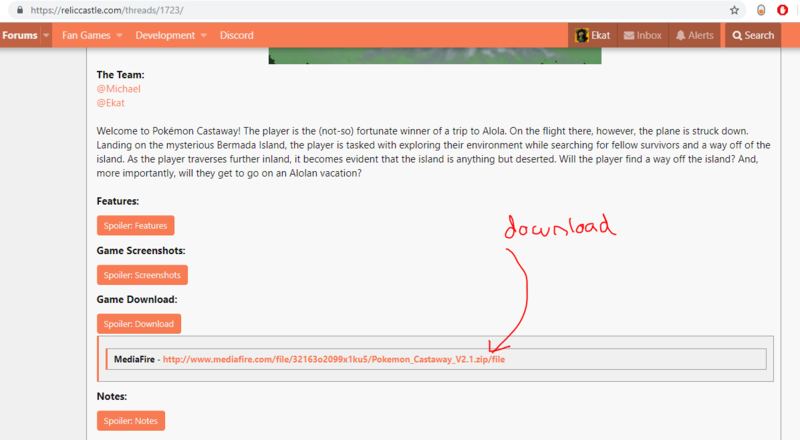 You download the game from the beginning of the thread, extract the zip file, and then run game.exe. Because this is a fangame, you cannot play it on your phone, nor can you play it on something like a Mac without having a program like Wine. I may sound like a lazy guy, but are there any cheats in this game? Laptop crashed and I want to continue the game ASAP without grinding. This game was a delight, thank you so much for all your work! I found that for me personally, the funnest part was actually in the beginning when you were just desperately fighting for survival and trying to scavenge beach and the wreckage to find enough resources to survive.